Obama, greeted by most Africans as providential for their centuries-old troubled relations with the West, instead, inaugurated a destructive coalition against Africa. In places like Côte d’Ivoire, Egypt and Libya, the United Nations, the International Criminal Court, the World Bank and the International Monetary Fund have supported military intrusions, arbitrary imprisonments, deportations and political assassinations under the guise of bringing freedom and democracy to benighted Africa. The destabilization of Africa, the dividing of the continent into lawless zones controlled by thuggish warlords, the displacement of millions of refugees and the systematic sacking of Africa’s resources are telling: In Africa, the West was not on a goodwill mission. This book examines the West’s policy of aggression in Africa over the last 50 years as a legacy of colonialism, with human and economic costs that are radicalizing African nationalists. 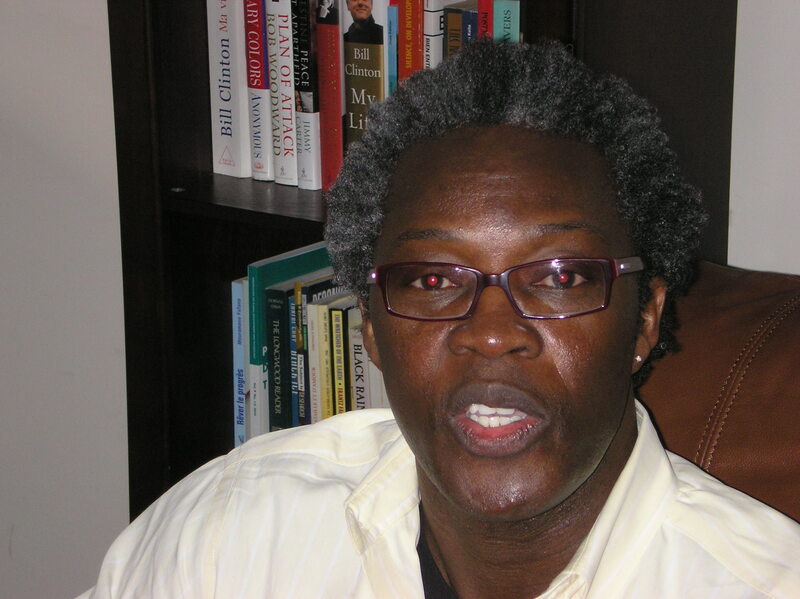 K. Martial Frindéthié is a professor of Francophone studies at Appalachian State University in Boone, North Carolina. An award winning author, his research interests include literature and film and the intersection of literature and political-ideological imagination. Dr. 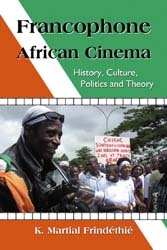 Martial Frindéthié’s book Francophone African Cinema: History, Culture, Politics and Theory (McFarland, 2009) is on Choice magazine’s 2010 prestigious list of Outstanding Academic Titles. This is Martial Frindéthié’s second book award. 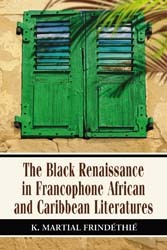 In 2009, Frindéthié’s The Black Renaissance in Francophone African and Caribbean Literatures (McFarland, 2008) was selected to be on Choice Magazine’s Outstanding Academic Titles. Choice is a research and collection source for more than 35,000 academic librarians, faculty and decision makers. After the publication of Globalization and the Seduction of Africa’s Ruling Class (McFarland, 2010), Frindethie is currently working on his fourth book provisionally entitled The Postcolonial Nietzsche. K. Martial Frindéthié is an Associate Professor of Francophone studies and Comparative Global Studies at Appalachian State University in Boone, North Carolina. An award winning author, his research interests include literature and film and the intersection of literature and political-ideological imagination. 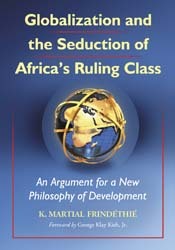 Assessing development thinking from a multidisciplinary perspective, this work argues that Africa is undeveloped not in spite of globalization, but precisely because of globalization’s saintly mission of unbridled liberalization and Euro-American teleology, which has reduced the African governing class to a body of abandonment-neurotics, co-conspirators in the First World’s human and economic genocides. The work suggests subsequently that, provided Africans remain impervious to the anti-Asian agitation which is sweeping the Euro-American world today, they have invaluable lessons in standpoint development to learn from India’s and China’s experiences with liberalism as well as constructive alliances to establish with these emerging transitional nations. Setting the stage for a critical encounter between Francophone African cinema and Continental European critical theory, this book offers a transnational and interdisciplinary analysis of 16 Francophone African films, including Bassek Ba Kobhio’s The Great White Man of Lambarene, Cheick Oumar Sissoko’s Guimba the Tyrant, and Amadou Seck’s Saaraba. The author invites readers to study these films in the context of transnational conversations between African filmmakers and the conventional theorists whose works are more readily available in academia. The book examines black French filmmakers’ treatments of a number of cross-cultural themes, including intercontinental encounters and reciprocity, ideology and subjective freedom, governance and moral responsibility, sexuality and social order, and globalization. Throughout the work, the presentation of literary theory is accessible by both beginning and advanced students of film and culture. This work explores the limits and prospects of Afro-Caribbean Francophone writers in reshaping or producing action-oriented literature. It shows how Francophone literatures have followed a hegemonic discourse that leaves little room for thinking outside of traditional cultural and ideological conventions. Part One explores the origins of Afro-Caribbean Francophone literature and what the author terms « griotism »–a shared heritage of awareness of biological differences, a sense of the black hero as black messiah and black people as chosen, and the promise of a common racial history. Part Two discusses the formidable grip of griotism on Fanon, Mudimbe, the champions of Creolity (Bernabe, Chamoiseau, and Confiant), and well-read African women writers (Aminata Sow Fall, and Mariama Ba). Part Three seeks to subvert the discourse of griotism in order to propose a new autonomy for Francophone African writers.